Geckos Adventures is a well known travel brand specifically catering to the 18-39 year old age group who want to step out of their comfort zone. The company, part of the Intrepid Group, offers guided small group tours to people looking for affordable, fun and adventurous travel around the world. 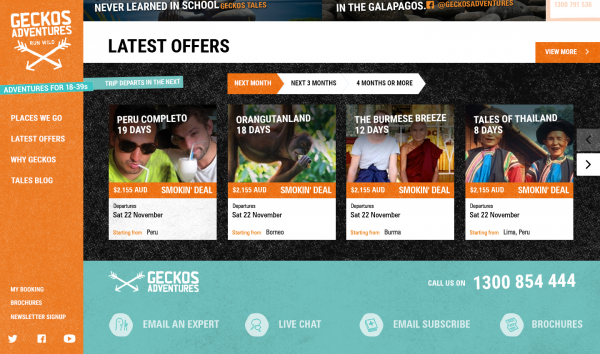 Geckos approached us to work with their internal team to develop a highly engaging website that would overhaul the customer experience for users booking with Geckos. The resulting website was a dynamic and engaging fully responsive website, designed for mobile-first, that acts as a hub for Gecko’s tour information. The site delivers value to the user through a comprehensive wealth of resources, easy-to-navigate information, and sophisticated search functionality. We were engaged to redesign the Geckos website and fashion a much more compelling and engaging user experience that would delight their customers and appeal to a younger audience. 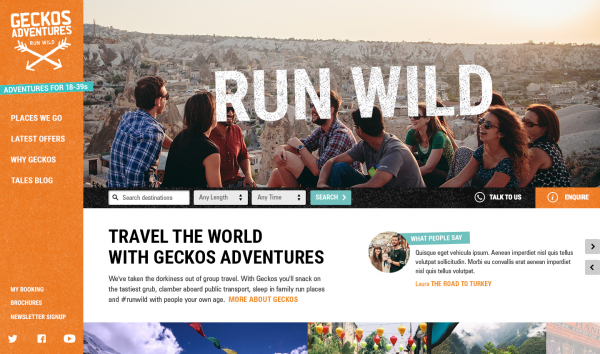 Working with the internal team at Geckos, we shared insights and collaborated on building up a vision for the site. Rich visuals, intuitive user flow and a fuss-free booking process were central to the project brief. The look and feel needed to be fun, engaging and vibrant to reflect Gecko’s young and adventurous target audience. A typical Gecko’s customer is a fun-loving 18-39 year old seeking an exciting journey at an affordable price. Travelling with Geckos is about the thrill that comes from experiencing a new place, making new friends, and the self-discovery that comes with it. The website needed to reflect and appeal to this audience. 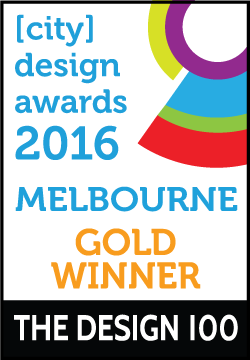 Gecko’s understood the importance of having UX at the forefront of the redevelopment. Along with beautiful travel imagery, the website experience needed to take users on a journey and give them a snapshot of what a trip with Gecko’s is like. User journeys needed to be carefully designed to ensure an intuitive user experience while still surfacing inspiring diversions along the way. Search hinting gives users immediate options as they are typing and focuses on duration and time of travel. A mobile-first approach resulted in the design of a tethered side navigation that behaved in a familiar app-like fashion. Beautiful landscape imagery benefited from the horizontal real estate and became the focal point of the design. 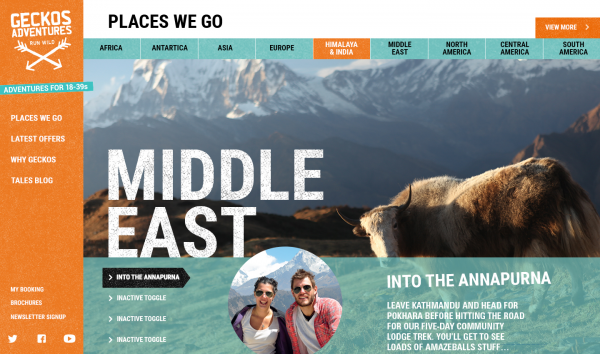 The content-rich website provided challenges when designing to a mobile format, but was achieved through considered display of information and large hit states to ensure an instinctive user flow. Gecko’s positions itself as being one of the most affordable group tour options on the market. As such, the brand’s complex pricing and availability structures needed to be transparent, clear and thoughtfully displayed. This was achieved through the use of simple accordion controls to show relevant information on-demand without cluttering the page.